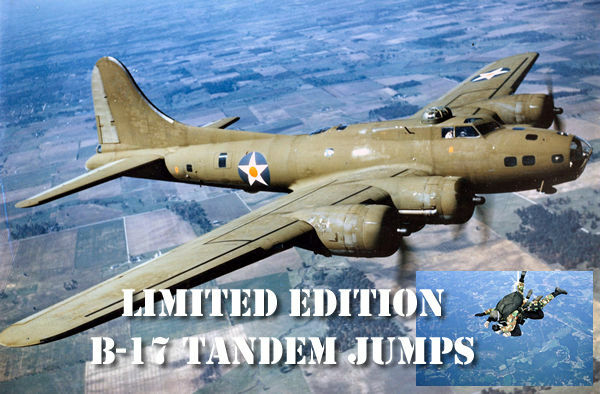 We have an opportunity to offer a limited number of tandem skydives from a classic C-47 / DC-3. Would you be interested in jumping? If so, give us a call at 800-644-7382. You’ll be the first to receive info when the adventure debuts. Tandem parachute jumps over Florida from the Bomb Bay Door of a Classic B-17 Military Bomber. Scheduled for September/October 2018 – exact dates TBD. Be part of an epic North Pole Skydiving Adventure. The deadline to register has been extended until December 31st. No prior skydiving experience is required to join the April 2018 adventure. The excitement begins and ends in Norway and includes a night at the exclusive Ice Camp Barneo. Call 800-644-7382 to learn more. New Custom Jump at the North Pole! Announcing a brand new custom jump event at the North Pole with the amazing Skydive Everest Team. Scheduled to take place starting April 1, 2018. This is a unique opportunity and AVAILABILITY IS EXTREMELY LIMITED. 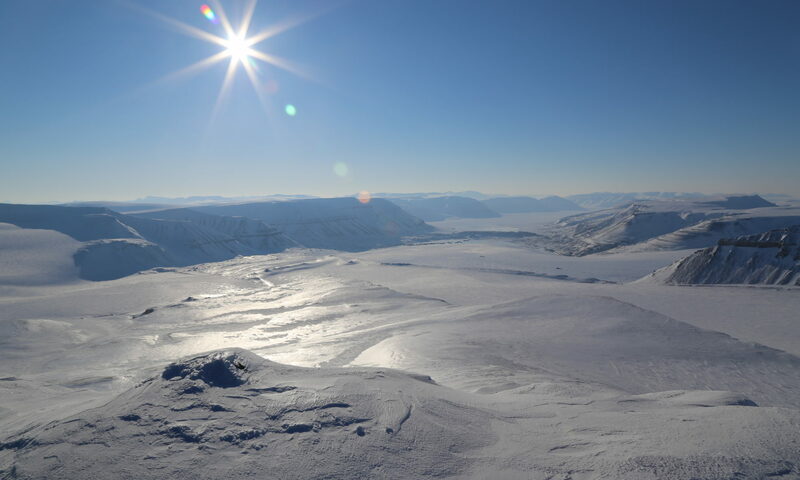 Join a team of extreme adventurers for a very special jump onto the Arctic Ice in the Land of the Midnight Sun! We’re now taking advance reservations for an incredible North Pole Skydive, set for April 1st to 4th. Skydive at the top of the world with members of our elite Everest Skydive team. The adventure begins and ends in Norway and includes an incredible jump from a Russian IL-76 and a night at Barneo Ice Camp. Call 800-644-7382 for details. Eclipse Day Jumps Were Incredible! 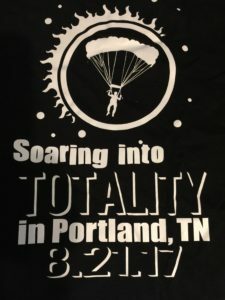 The city of Portland, TN gave Incredible Adventures Eclipse Day HAHO Jumpers a grand welcome. The city’s mayor surprised skydivers and IA team members by presenting everyone with special t-shirts, commemorating the event. The jumps were incredible and memories were made that will last a lifetime. 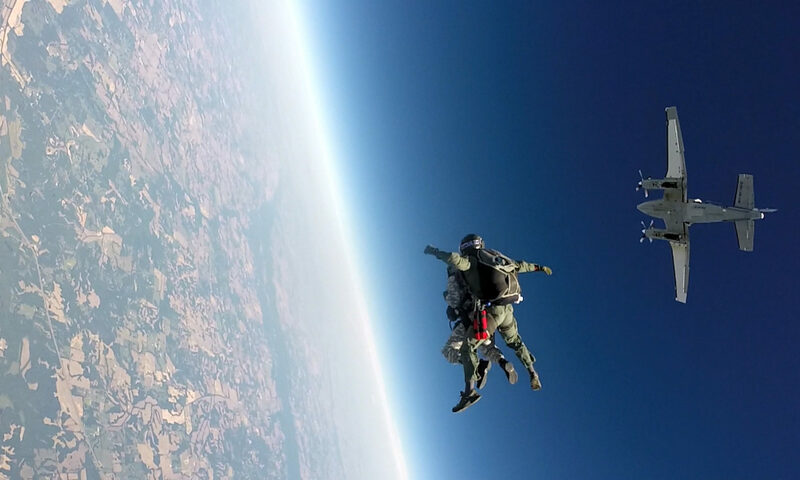 A series of rare, military-style, high-altitude skydives took place over Portland, TN on August 21, both during and after the day’s total eclipse. 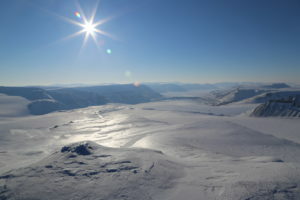 Accompanied by a team of elite jump professionals, an international group of adventurers made both tandem “HAHO” and “HALO” jumps, enjoying an unrivaled view of the sky and setting several records. 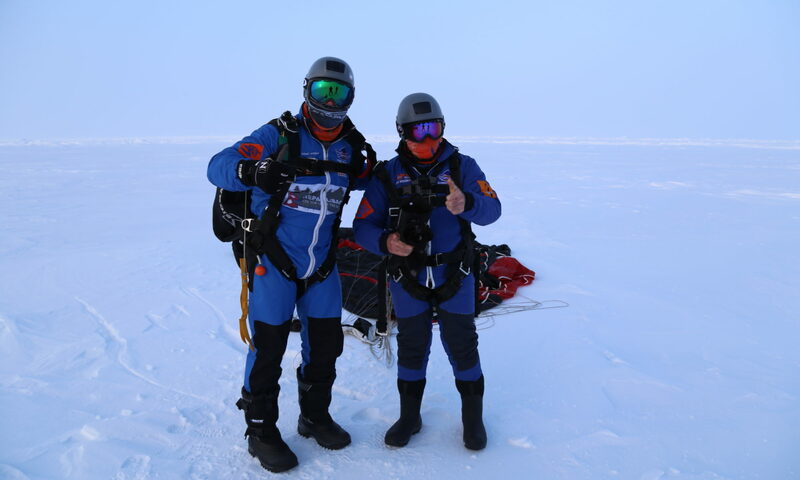 Accompanied by a team of elite jump professionals, three Canadians, including international businessman and philanthropist Frank Giustra, completed tandem HAHO jumps that kept them in the air nearly 30 minutes during the day’s total and partial eclipse. They became the first to ever make high-altitude tandem jumps during a total eclipse. 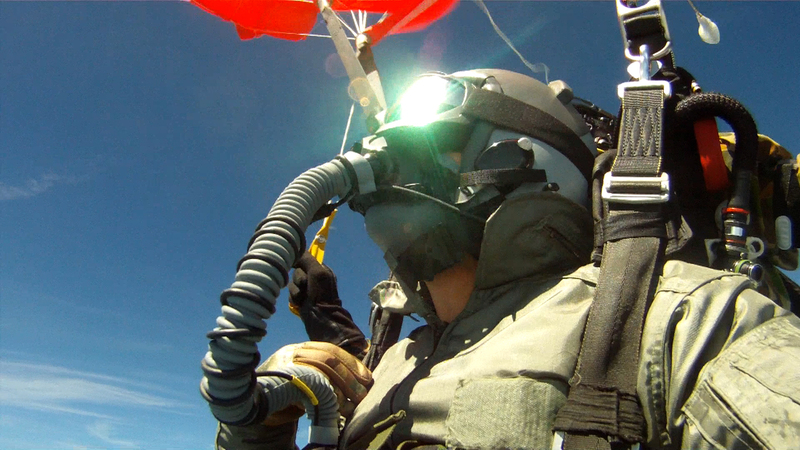 They were fitted with special eclipse-viewing goggles and supplemental oxygen for their jumps. 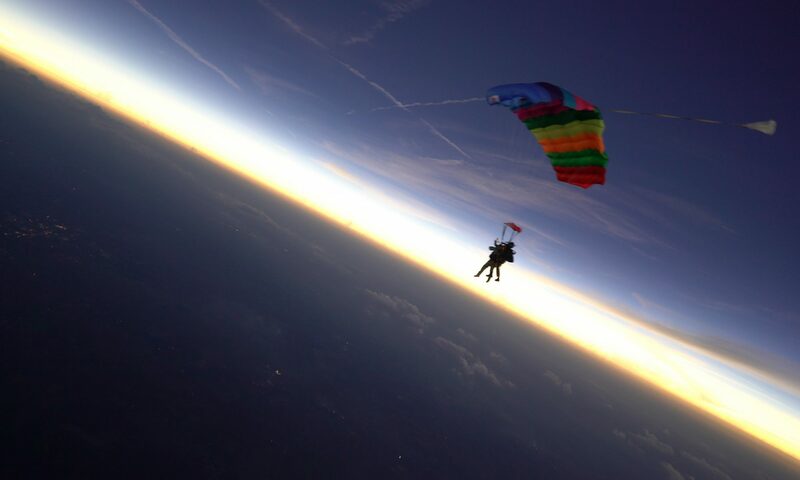 “It was surreal to watch a dark shadow cast over the ground below us as a halo of light remained on the horizon,” said team member Frank Giustra, who skydived with friends, to celebrate his 60th birthday.